For over 75 years, Finnish mothers have been letting their children sleep inside a cardboard box — and that&apos;s a good thing. In 1938, the Finnish government started giving out a starter kit of sorts to low-income expectant mothers, filled with baby clothes, sheets and more. Eleven years later, the gift was extended to all Finnish women with confirmed pregnancies. These supplies — along with mandated, free visits to pre-natal clinics before entering the fourth month of pregnancy — drastically improved infant health. Nowadays, Finland enjoys one of the lowest infant mortality rates in the world with only 2 deaths per 1,000, while the U.S. rate remains one of the highest in the industrialized world, at 6 per 1,000. While Finland&apos;s maternity box program might not be the sole contributing factor to this decline, it does symbolize the country&apos;s investment in maternal health. In the 1960s, Finland created a national health insurance system and central hospital network, which likely also help decrease infant mortality. If you&apos;re curious about how this "cradle to grave" philosophy looks in practice, a Finnish Redditor has graciously documented the content of her maternity box. "Every mother in Finland, regardless of income or anything else, is eligible to get this box after 154 days of pregnancy," writes the Redditor. "It costs nothing, to get it all an expectant mother needs to do is fill out a basic form and submit a certificate of pregnancy from her healthcare provider. I got my box today and this was what it had!" "This is the box itself." "There is a snow suit, hat, mittens, and another warm body suit." "Hats, balaclava, pads, socks, tights, and the small bag has a little book, a toy, condoms, and some other small baby hygiene products." "There&apos;s a cloth diaper, and a towel, but the rest is almost all clothing in various styles and forms, all gender-neutral. 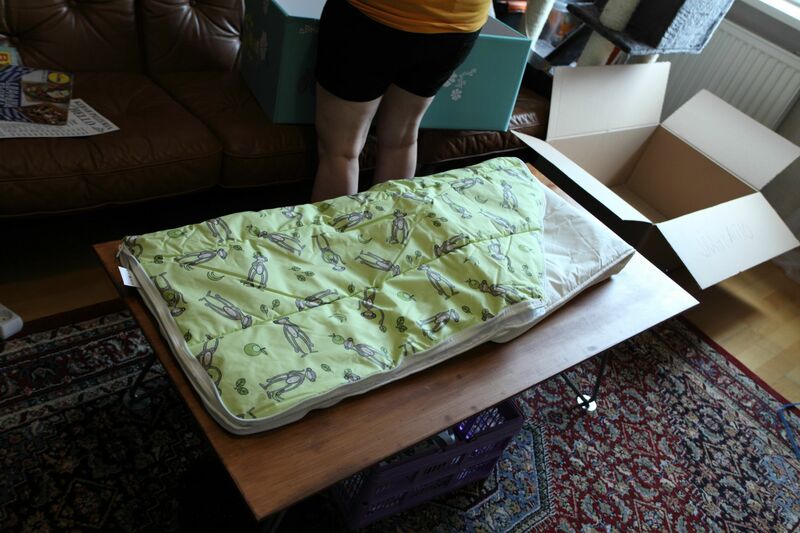 The bottom of the box is also a mattress, so the baby is able to use it as a bed at the beginning of her life. All of the clothes are very high quality, and a good chunk of what came in the box was made in Finland or by Finnish companies."